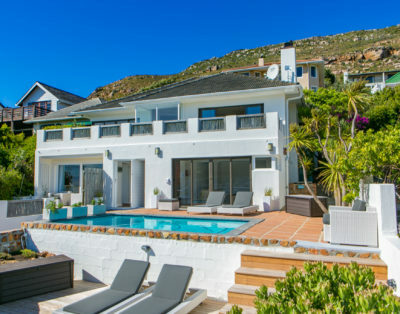 Whale Watchers Properties brings you this lovely one bedroom fully equipped self-catering apartment. It is situated in the heart of Muizenberg, just off the Muizenberg Beachfront. 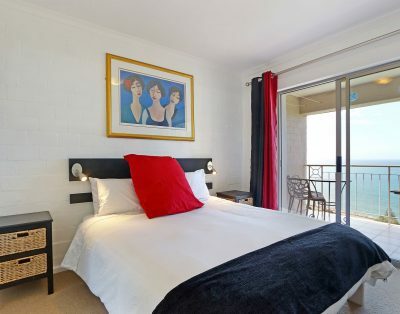 Within close walking distance to the beach and in the center of town, this is an ideal apartment for a getaway to the beach. The apartment can accommodate up to two adults. There is one bedroom furnished with a double bed and a bathroom with a shower over bath, a toilet and a washbasin. Bed linen and towels are provided. The living area is open plan and well decorated. The lounge is comfortably furnished with an L-shaped couch and meals can be enjoyed at the breakfast bar. The kitchen is fully equipped for self-catering and contains a stove, oven, fridge-freezer, microwave, cutlery and crockery. The open plan apartment is north facing and has uninterrupted mountain views.